Read more on ASUS' ROG Strix B350-I Gaming motherboard. £175 could be plus tax. There are rumours that this could cost as much as £220. Nearly double that of the board nearly twice its size. And TBH? that fet cooling doesn't really look up to much more than the Asrock or Gigas we already had. That's the only problem with having a board that small, people are hoping for the X370 to have the daughter board VRM design but I'm not getting my hopes up, plus to me with the lack of connectivity on it, feels like Asus have done it just to say they've done it. Disgusts me how we're over 6 months down the line and still not a single X370 mATX board exists let alone decent mITX boards, yet Coffee lake has a fleet of boards for launch which overshadows the complete Ryzen lineup. Disgusts me how we're over 6 months down the line and still not a single X370 mATX board exists, let alone decent mITX boards, yet Coffee lake has a fleet of boards for launch which overshadows the complete Ryzen lineup. Most of the big manufacturers did not even want to make ITX boards for Ryzen until there was an APU out. You need to remember, people are used to having an IGP and most would take it for granted if coming from Intel. I would imagine the reason Asus have waited was for an AM4 APU which we now have. 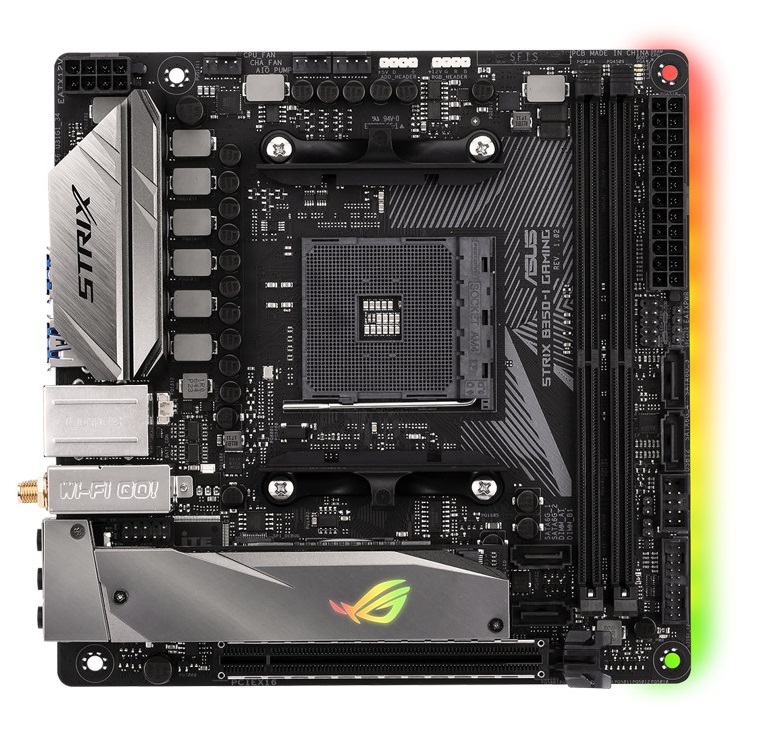 I won't be too harsh because Asus have made one of the best value motherboards in many years with the B-350 Strix full fat, but yeah this one leaves me a little disappointed. They are all going to bum Intel because they have to man. Remember, it's an Intel launch. Short, fast, quickly over. They need to rush in, grab some cash and then move on. Having said all of that I own a few many cored CPUs and I know that the logistics with ITX are always going to be stupid. Wonder why they made the audio jacks sideways? Strange. Been waiting months for this and honestly I'm very disappointed. Looks very cheap. I have no love for Intel but looks like I'm switching to Coffee Lake. Z370i will be available at launch.